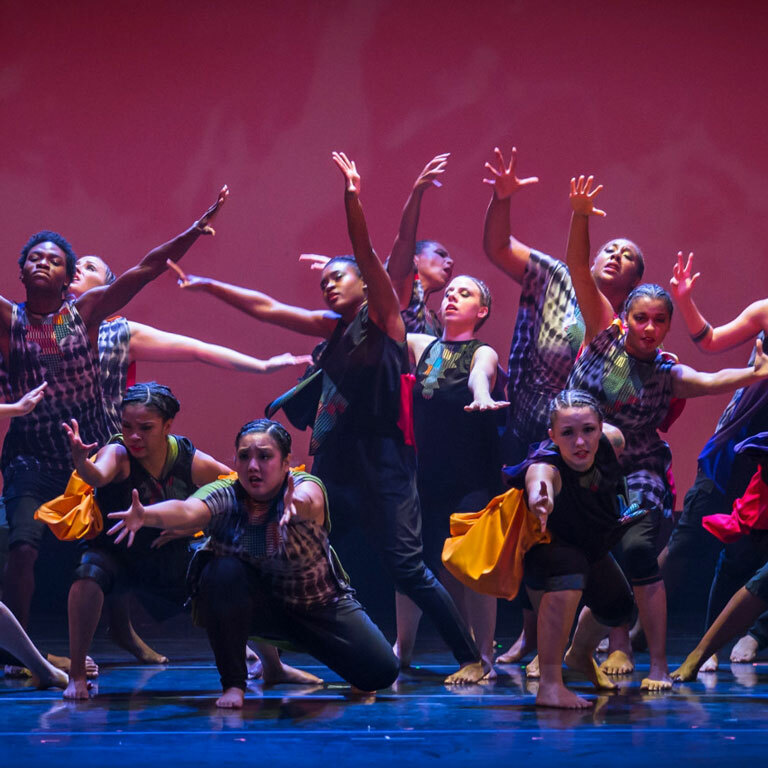 Over the winter holiday, the Indiana University African American Dance Company will embark on a weeklong visit to Beijing, China, where it will conduct a cultural exchange with the School of Law and Humanities at China University of Mining and Technology Beijing. The African American Dance Company, one of three performance ensembles that comprise IU’s African American Arts Institute -- a program within the Office of the Vice President for Diversity, Equity and Multicultural Affairs -- will leave IU Bloomington on Dec. 16, returning Dec. 23. The institute’s three ensembles are also classes through IU’s Department of African American and African Diaspora Studies. While the group of faculty, staff and 14 students will have the opportunity to visit cultural landmarks such as the Great Wall and the Forbidden City during its time in China, the dance company will be busy with multiple performances and interacting with its China University of Mining and Technology Beijing counterparts, in addition to lectures and class demonstrations by Iris Rosa, director of the African American Dance Company, and Carolyn Calloway-Thomas, chair of IU's Department of African American and African Diaspora Studies. Calloway-Thomas was integral in the facilitation of the trip, taking an active role in planning the logistics based on her longstanding relationships and extensive experience lecturing in China. Charles Sykes, executive director of the African American Arts Institute, will also be traveling with the group. Sykes said he was ecstatic about one of the ensembles under his watch being on an international stage. China University of Mining and Technology Beijing professor Yingli Zhou, a visiting scholar in the African American Dance Company, also played a key role in the process, graciously offering her assistance in making connections between IU and China University of Mining and Technology Beijing after being impressed by an African American Dance Company performance. Visit the African American Dance Company’s blog to follow its experiences in Beijing, China.